WE RECYCLE – YOU PAY LOWER PRICES! 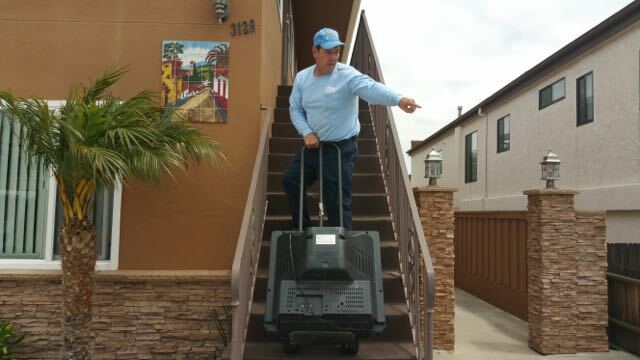 Fred’s Junk Removal travels through central San Diego picking up all types of junk for customers. 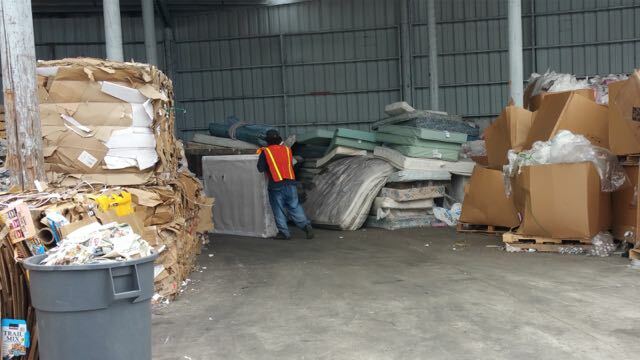 We also visit several recycling facilities each day dropping off junk that can be recycled. Commodity prices are down, way down for the past several years but we continue to recycle because it costs us less at the landfill to dump the remaining junk and trash. Our recycling efforts save the average customer between $35 – $200 per job we do, that’s a lot of money. 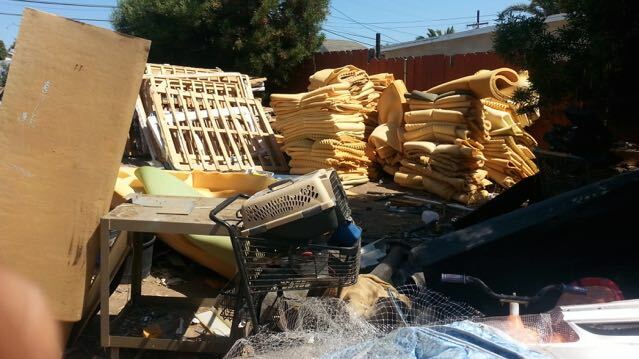 If a junk removal service tells you they recycle, ask them to prove it Like us! 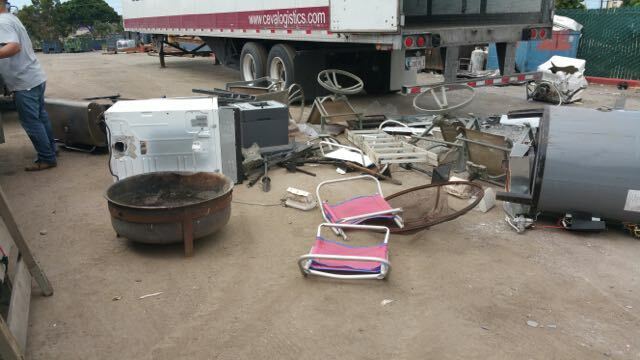 We visit the scrap metal yard everyday…We’re regulars. 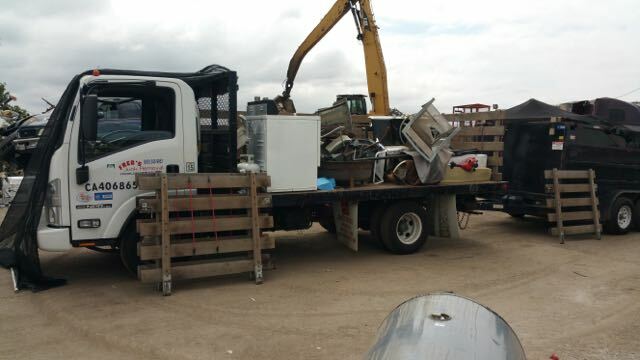 The price of scrap metal is under 2 cents per pound these days but we still prefer to recycle scrap metal instead of dumping it in the landfill. We dropped off this scrap metal from our morning pick ups. When we haul your junk away you will notice we separate the metal from the rest of the junk so it is easier to recycle it later. This is my old mattress recycling yard. we recycled mattresses here from 2007 – 2015. 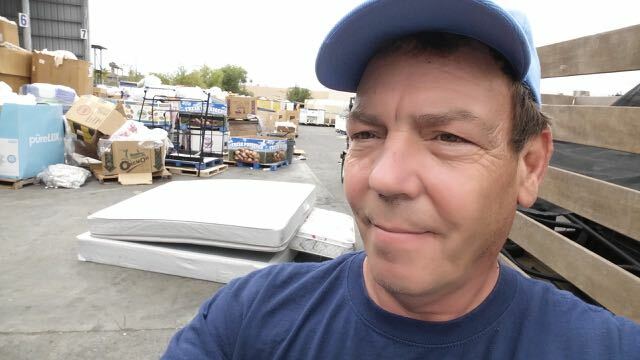 My friend and chief mattress demo expert Mike loved to shred mattresses, he would always tell me to keep’m coming. The materials from recycled mattresses would set out in the sun and weather, we had to move fast before the foam would breakdown. 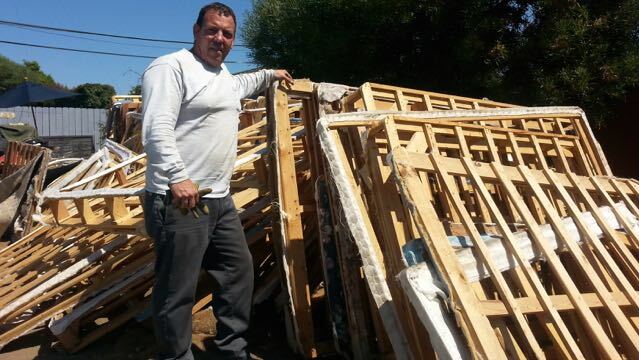 Fred’s Junk Removal has been recycling mattresses for nearly 10 years…. Before it was cool! We haul away 5 – 10 mattress set every day and for $49 per set thats a great deal. We store our mattresses out of the sun and rain so they do not get ruined before the shredding starts. The pile of mattresses in the background is from about 4 days of mattress hauling. 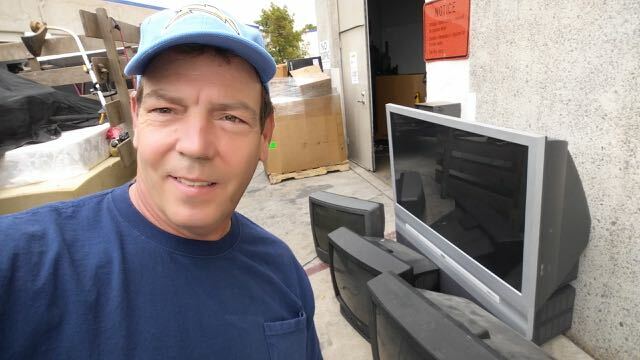 We pick up a couple of TV’s each day and usually drop them off first thing in the morning at a certified e-waste recycling facility near San Ysidro. We recycle TV’s, printers and computers… well, put it this way, if it plugs in we can probably recycle it. 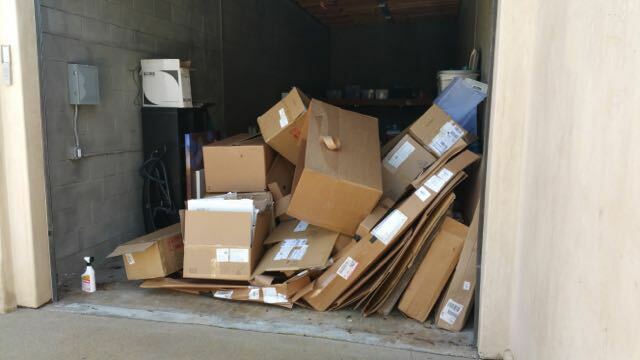 We pick up a lot of cardboard, especially at the beginning of each month when folks are moving. 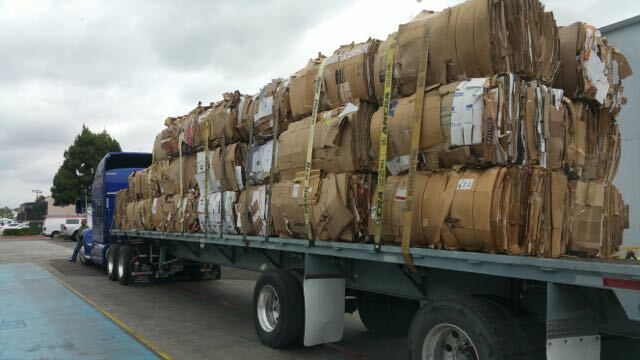 We transport the cardboard to a facility where it is bailed up and sent to a cardboard recycler.